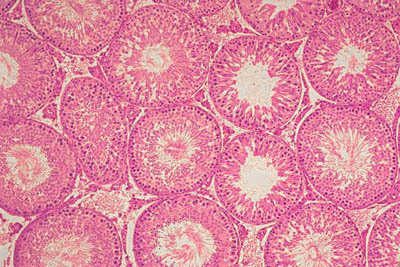 On these histology slides, several seminiferous tubules are visible. Sertoli cells and spermatozoa are visible. Between the tubules the interstitial cells of Leydig and interstital connective tissue can be seen.